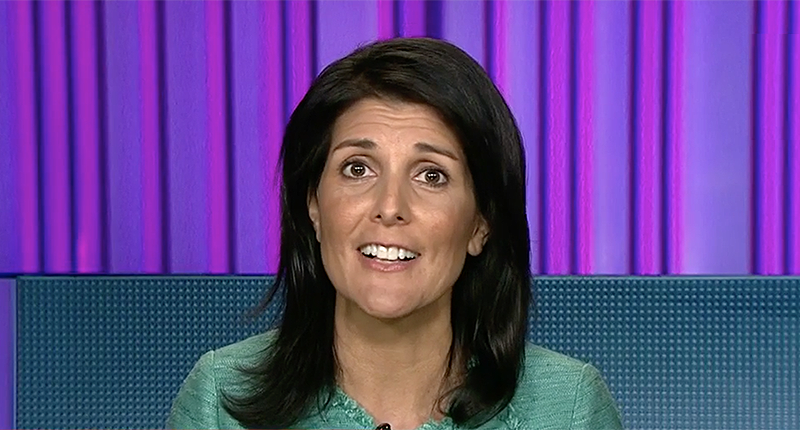 Atlanta, GA, February 26, 2019: Former UN Ambassador Nikki Haley says Pakistan has a long history of harboring terrorists, and the US should stop aid to Islamabad. In an op-ed on ‘Stand for America’, her newly launched advocacy group, Haley says in 2017, Pakistan received nearly $1 billion in U.S. foreign aid, the sixth most of any country. Much of the aid went to the Pakistani military. Some went for road, highway, and energy projects to assist the Pakistani people. “The administration has already wisely restricted assistance to Pakistan, but there is much more to be done,” she adds. “When foreign aid goes to countries that take our generosity and bite our hand rather than link up arms with us, it’s time to stop it,” she said. Stand for America is an advocacy group promoting public policies that strengthen America’s economy, culture, and national security. Born in Bamberg, South Carolina, Haley is the daughter of Indian immigrants. She has served as Governor of South Carolina.